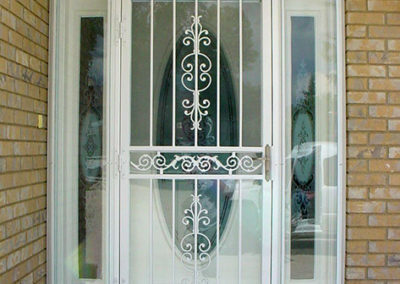 Security or screen doors have become an integral part of properties in recent years with concerns over personal safety. Security doors are the perfect choice to add security and protection for your family and loved ones. Since Australia has a diverse range of reptiles, deadly insects, and spiders, it has become a necessity to secure both homes and offices alike. Therefore, the security door not only secures your property, but keeps all the undesirables out. At Phoenix Safety Rail, we understand the importance of security doors more than most. We offer a unique range of security doors that can give permanent solutions to your property security worries. 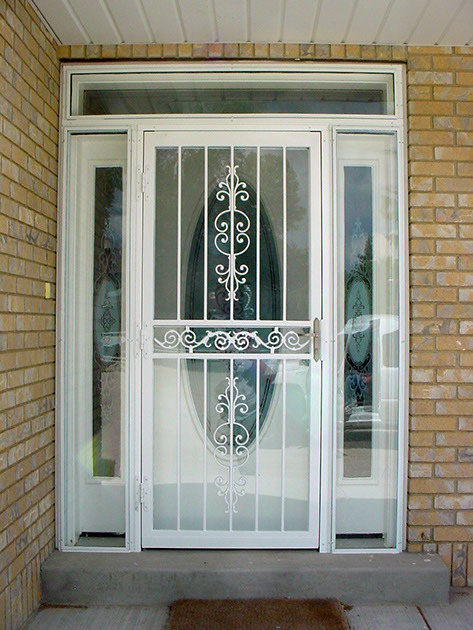 Our screen door solutions are designed to fit both businesses and homes. 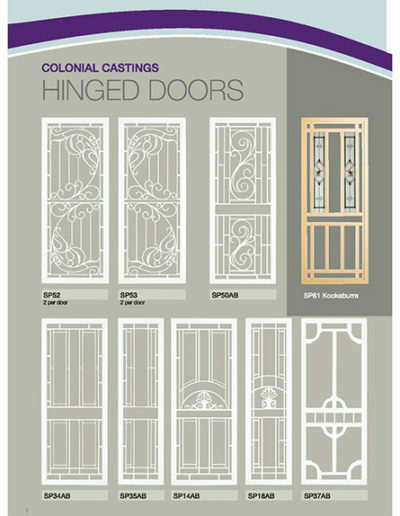 The doors are available in both single or triple locking systems to ensure advanced security. Apart from increasing the security of your property, the screen doors offer a number of benefits. It ensures better privacy for your family as most of our security doors come with security meshes or grills to obscure or block the view from outside, while still allowing you to see everything outside from the interior. Our security doors are stylish and can add value to your property as well as being an additional security layer. 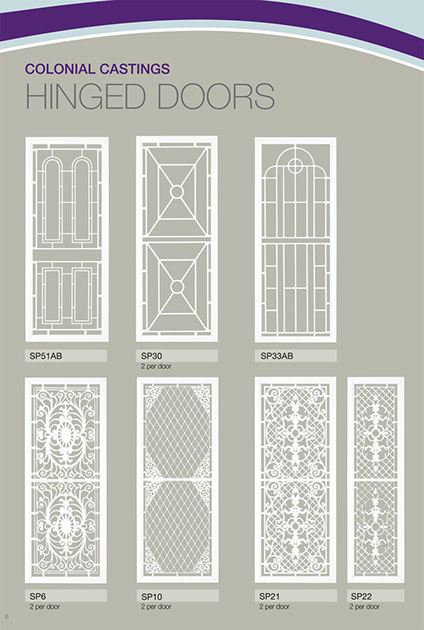 We manufacture an excellent range of decorative security doors that can aesthetically enhance your property. 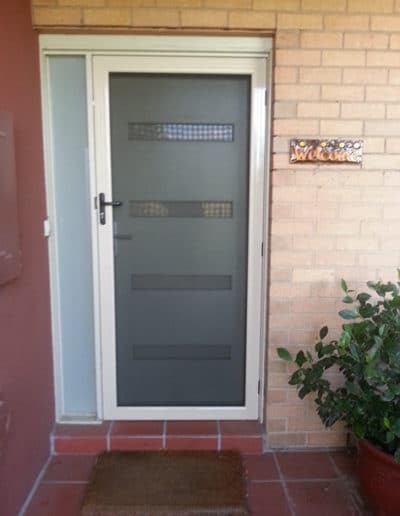 As a leading manufacturerof security doors near Mornington, we design and supply security doors with improved ventilation features for properties. It is an excellent option for ensuring natural light and air circulation without compromising the security of the property. The security doors can also make your interiors feel more spacious. Security doors also protect from the attacks of insects, stains, mould, burglary attempts, and much more. 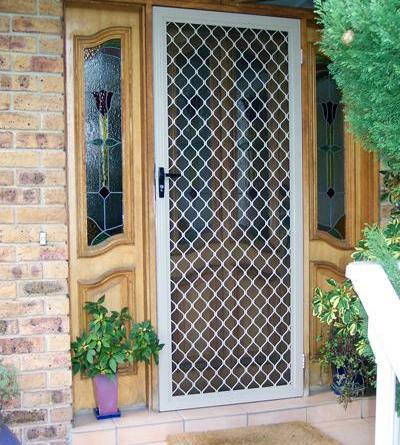 We offer an excellent range of security doors made from different types of materials. Our screening doors are customised to fit your wall openings. We supply both sliding and hinged security doors in Frankston and other south-eastern suburbs of Melbourne. 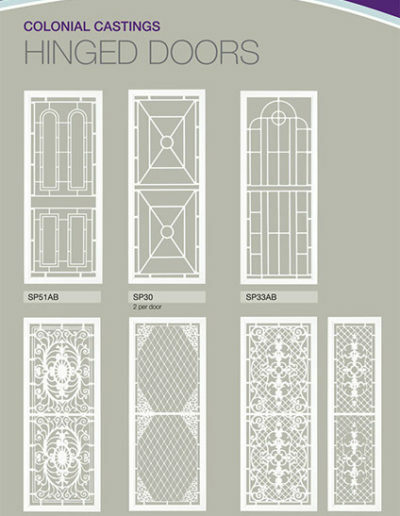 These doors can fit your main doors, patio doors, and much more. Our product range consists of four types of security doors that come in a variety of designs to suit a multitude of applications. The product line starts with the 007 series that comes with a 7mm diamond patterned tempered aluminium grill, fibreglass insect wire, and hardware. 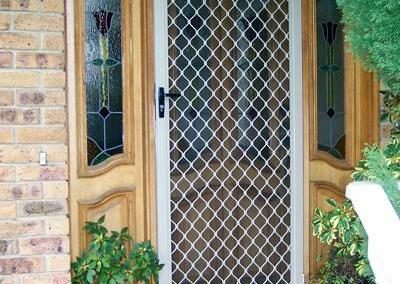 It showcases a strong design and is ideal for hinged or sliding doors.Our diamond security doors are also available in a decorative diamond grill pattern. 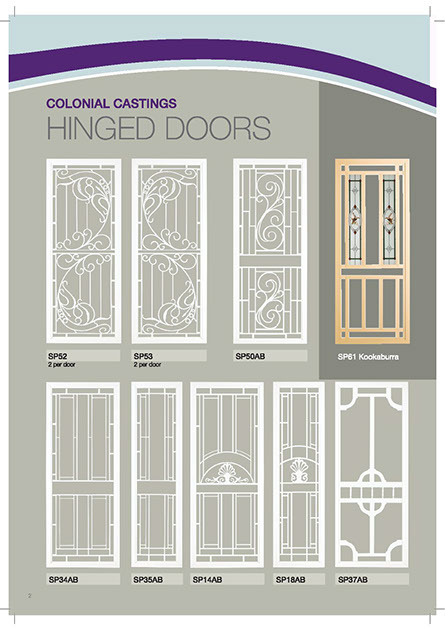 When it comes to our Colonial series of security doors, there is a huge array of designs both traditional and contemporary available.The cast aluminium grills provide added security and extra strength. Available in a variety of mesh configurations from Tuff or pet mesh to our DVA or one-way visibility mesh. The one-way mesh provides extra security by limiting visibility from the outside whilst maintaining the view from the inside. These doors are available in many different colours. The Panther series of security doors are our top line in security. Featuring a triple locking system and 316 marine grade stainless steel mesh. These quality security doors have a unique and innovative design that withstands 100 impacts, that’s 20 times the impacts Australian Standards require, and is completely tamper proof. Screws can cause weaknesses from environmental factors such as galvanic corrosion. The Panther security door doesn’t need mechanical fixings, but instead uses an ingenious mesh retention design that is significantly stronger. This series of security doors comes in a large range of colours that compliment the stylish profile of the Panther security door. 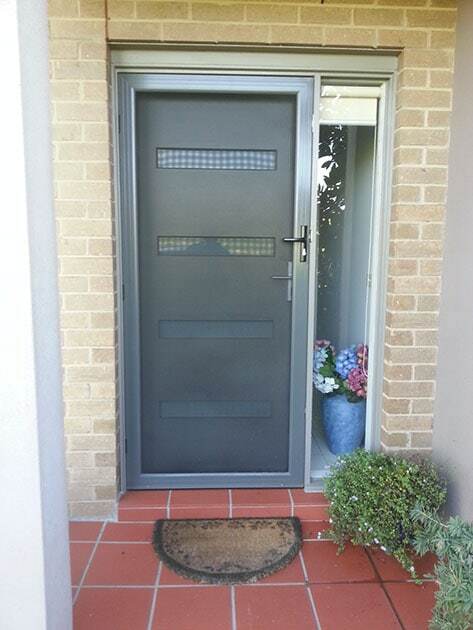 Call us today on 1300 361 328 to enhance the security and safety of your property with our range of security doors. You can also discuss with our specialists online and let us know your requirements.